Life skills for teens is an often overlooked part of raising and educating our kids. Our main job as parents is to raise children who are knowledgeable, skillful members of the community. To prepare them for life on their own. We do our teens a disservice when we do all of their laundry, cook all of their meals, and fail to teach them the basic life skills they will need to successfully live on their own. The following is a list of 25 life skills of teens- ones they should know before leaving home. Do your kids have these skills? Cooking is a skill EVERYONE should have. And unless you want your teen to move out and live on fast food, canned soup, and frozen dinners, he needs to learn how to cook basic meals. Cooking is a life skill that should be taught from a very early age, so that by the time your kids are teenagers they can cook a full meal alone. Start with easy meals like pasta, refried beans, homemade soup and work your way up to more complicated meals. If you are constantly nagging your teen about leaving their dishes in the sink or on the table- they haven’t mastered this one yet! Before your teen leaves home he should have mastered how to wash dishes- correctly, without wasting water- and how to load, start and unload the dishwasher. When the clean clothes run out, who does the laundry? Knowing how to load and run a washing machine and dryer is a very important life skill for teens. Teach them how to pretreat stains, sort colored and white, how to bleach whites, and don’t forget to tell them to clean out the lint trap! My kids start doing laundry rotations starting around 11 or 12 years old. We live in a wasteful world. A world where a shirt or pair of pants are trash when they lose a button. Don’t let your teen be this wasteful and teach them basic sewing skills! Sewing on a button is the easiest thing you can sew (my 6 year old daughter can do it!). So, if you teen doesn’t already have this life skill make sure he can sew a button on. And while you are at it- sewing a ripped seam back together is super helpful too! Teens like to think they know it all. They think they are invincible. They also tend to think they are adults before they have the maturity. The older your teens get the closer they are to starting families of their own. So well before they try to raise a baby teach them how to raise a plant or an animal. Keeping something other than themselves alive is a big responsibility- even if it’s just an aloe plant. Do you know how expensive a plumber is to call? Basic plumbing like how to unclog a drain or fix a leaky pipe is an invaluable life skill for teens. It will save them money and give them the knowledge and power to do their own repairs-which feels pretty good! I know so many adults who don’t know how to change a tire. There are all sorts of excuses- including having a membership to AAA. But what happens if you get a flat- in the middle of nowhere, with no cell service and no one else around? Being able to change a tire is one of the most important ALL people should know- especially teens who like to go out driving just to drive. Again, you may have a membership to AAA, but what if you couldn’t reach them. Using jumper cables isn’t rocket science and it isn’t hard. 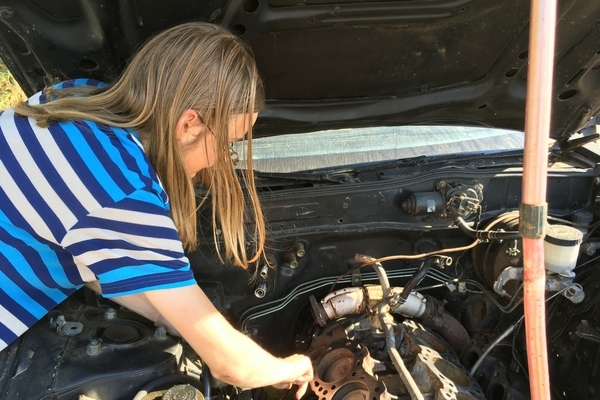 So teach your teens how to jump a car so they can help themselves or be good Samaritans when they come across a dead car battery. Did you know there are some adults in some states who don’t know how to pump their own gas? This is a very basic life skill. If you can drive a car, you had better be able to pump your own gas. Some basic life skills are being lost in this age of technology. Reading a map is one of them. If your teen didn’t have his phone or access to GPS, can he read a map to get where he is going? If he were lost could he tell which direction he was going? Being able to read a real, paper map is not only an important life skill for teens but a survival skill as well. Another life skill being lost to technology is writing a check. We have debit cards, online bill pay, electronic checks, etc. Why does your teen need to know how to write a check? Because imagine his embarrassment if he was 25 and COULD NOT write a check. Money problems cause life problems. Teach your teen from a young age how to budget him money. Teach him how to save and how to track how much money they need for living expenses and how much they can use for fun. Living is expensive and teens can get in over their head quickly if they don’t know how to manage their money. When you teen moves out of the house he will be solely responsible for all of his living expense. Chances are he will need to keep track of bills such as electricity, rent, car insurance, phone, and more. Your teens need to be able to organize these bills and pay them on time. If they don’t they risk ruining their credit and losing important things like their home! Writing a professional letter or email is completely different than texting your BFF- yet some teens don’t seem to get that. If you want your teen to be taken seriously as an adult, make sure he knows how to write a well thought out, professional letter with NO abbreviations or emojis! A resume can make or break the ability to get a job. A cover letter and resume is your teens chance to make a great first impression. Teach them how to write these 2 documents while you still can! Interviews are a nerve wracking process, before your teen heads out to get his first job help him prepare by doing a mock interview or giving him an idea of what kind of questions he will be asked and how to answer them correctly. Here are some tips for teens to have a successful job interview. How to research is the most important thing anyone can learn. If you know how to research you can learn ANYTHING.Teach your teens about good sources, how to research not only online but by using a variety of sources. Don’t let your teen leave home without mastering this life skill. This is a major pet peeve of mine, and one I see getting worse and worse in younger generations. Please, please, please teach your teen the importance of being on time. Teach them to value their own time and the time of other people. Don’t let them be late to school. Work. Class. Practice. Start early so they don’t have trouble with being late when it matters. When our kids are young and they find themselves in trouble they look to us to help them. To keep them safe. Teach your teens to say NO and stick to it. And teach them to be their own advocate and stand up for what they believe in. I remember when “Bless You” was an automatic response to any sneeze. When doors where held open for strangers. Basic manners and etiquette are a lost life skill for teens that needs to be reclaimed. Excuse me when you need to pass. Hold doors for strangers, and say than you when someone does it for you. Say thank you when the waiter refills your water glass. These little manners should be instant and automatic every single time. At some point in your teens life they may find themselves in a dangerous situation. It could be in a dark parking lot or a bully in class. 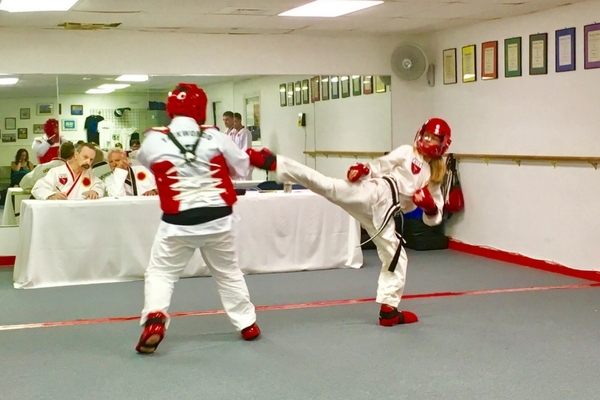 Teach your teen how to defend herself. How to get away from an attacker. And how to incapacitate an attacker. Then hope they never have to use the knowledge. How to take care of themselves when they are sick or hurt is a life skill all teens need. How to dress a burn or wound. How to prevent dehydration. When to seek medical help. How to do CPR. How to do the Heimlich maneuver. These are all important skills teens need to know. This may seems small- but everyone should know how to easily calculate a tip in their head. Teaching teens to take 10% and double it for 20% or 10% then half of it for 15% is as easy as moving a decimal point and will make a difference in the life of your waiter. And while you are at it- teach them not to be stingy. When you teen turns 18 years old, he will be an official, voting citizen. Make sure he knows how to vote and how his government system works. How laws are made. How officials are elected. You can’t change or complain about something you don’t understand. You can’t prepare your teen for everything, but giving them as many life skills as you can will help them grow to be independent and successful adults. What skills would you add to this list?